When you are setting up your home office and you are preparing to select your furniture, it is important that you understand what computer desks for a home office are best suited to your needs. Desks are long lasting pieces of furniture, and typically once you purchase one, you are not likely to replace it. Your desk must take your personal needs into consideration, including filing needs, storage needs and space needs. Here are some of the things to consider when selecting a computer desk. Frequency of Use – How much you will use your computer desk is a serious consideration. Those who use their home office full time will likely have significantly different needs than those who will use their desks only occasionally. Those who have a home office that more than one person may use at different times may also need to take this into consideration. 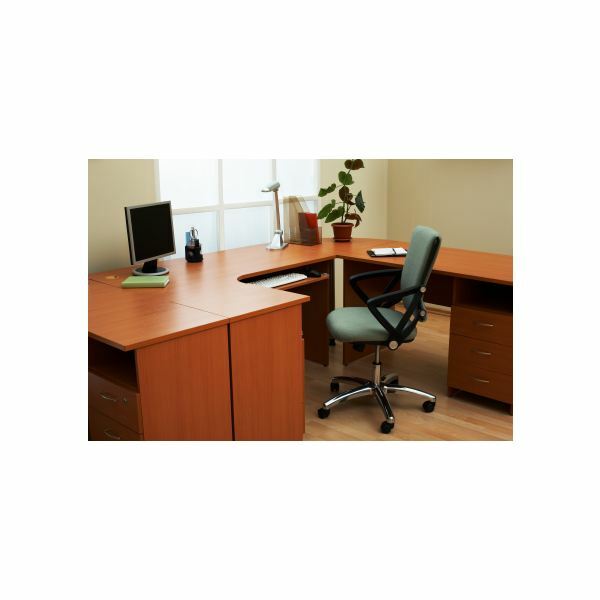 Desk Placement – When you are searching for home office desks, you also want to carefully consider the placement of your desk. Whether it is a focal point in a room, whether the room has common space with other family activities and where the windows are located in the room may all play a role in how you chose your office computer desk. Space Needs – While the size of the room you plan to place your computer desk in is certainly a consideration, you must also consider the space you need to work effectively. Home office computer desk users may have a desktop computer, may have multiple monitors or may simply be using a laptop computer. Storage needs vary including manuals, books, filing space, etc., which would all need to be taken into consideration when selecting the right home office desk. 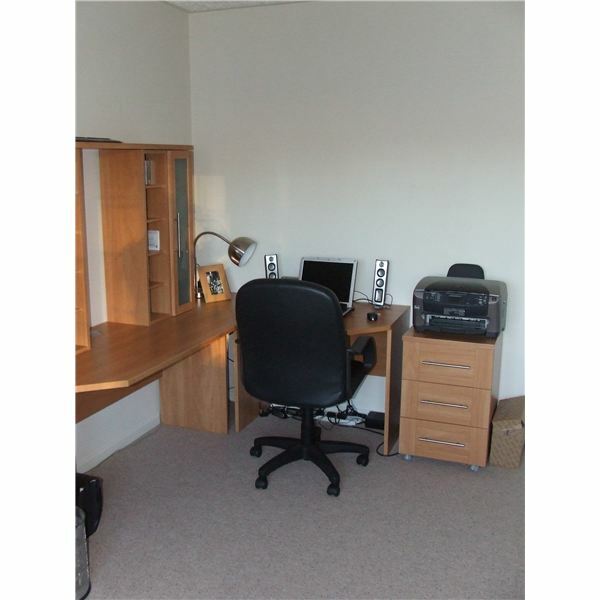 Corner Desks – A corner desk is ideal for many, especially in a small room. A corner desk can help maximize the amount of space that you have in a small room. Many corner desk styles include bookcases, printer stands and filing cabinets. Corner desks can be ideal for those who work at home full time, need a lot of flat space and are working with full sized desktop computers. Many have hidden storage areas as well. Finding the right corner desk allows you to make the most of a small room and have sufficient working space. Ergonomic Desks – Home office computer desk users who spend many hours at their desk may have a concern about ergonomics. Finding ergonomically correct home office desks is easier than ever since there are many styles, colors and price ranges to select from. An ergonomic desk is extremely helpful for those who will spend hours working at their computer. Small Computer Tables – For those who need only a laptop computer and perhaps writing space, the option of a computer table may be suitable for a home office. These desks have a variety of features including keyboard and mouse trays, hidden slots for cords and some may even include appropriate lighting. Small computer tables have the benefit of being easy to move, allowing the user to change room layouts easier and are portable enough (in many cases) to move from room to room if necessary. These are only a few of the home office desk options that you can consider for your home office desk needs. Setting up a home office requires planning and patience. It is important to remember that everything in your home office from the colors you select to the desk you purchase may impact your productivity. Creating a home office is exciting. However, do not be short sighted and select the wrong desk. Take into consideration everything that you need your desk to provide for you including sufficient work space, computer space, as well as storage and filing space. Your desk will likely be the focal point of your home office. Finding the right home office computer desk may help you create a new organization system and help you stay more focused and provide adequate working space at the same time.